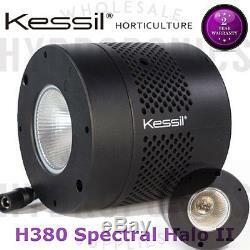 Kessil H380 Spectral Halo II LED Grow Light. 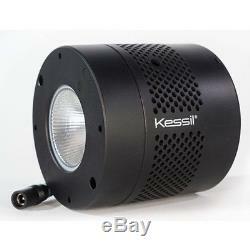 Kessil H380 Tune-able Spectrum Grow / Bloom switch! 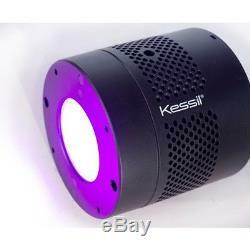 Extreme Magenta and Extreme Purple PLUS UV LED chips for extra power. 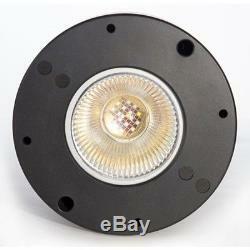 Use this light for vegetative and flowering growth. One fixture contains two unique full-spectrum blends with UV light. 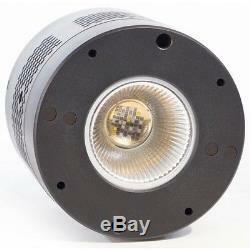 Each spectrum caters specifically to a phase of plant growth so one fixture is all you need. The Extreme Purple spectrum is ideal for grow phase. Plants utilize the proprietary blend to develop thick and lushgrowth for fuller, healthier plants. Extreme Magenta targets the bloom stage, driving plants to increase quality and quantity of yield. Dense Matrix LED technology produces a concentrated single point light source with enough power to penetrate past the canopy and deliver light to the entire plant. Every wavelength within the spectrum is mixed perfectly to ensure even growth throughout. 4.5" x 4" (Length x Diameter). 24 surface diameter by 3' penetration (on average). 100-240V AC (input) 19 VDC, 4.74A (output). The Kessil H380 Grow Light , an innovative new grow light builds off of the success of the H350 line with even more output and the addition of Kessil Logic. With its increased output and the ability to switch between spectrums, the Kessil H380 Grow Light will increase efficiency while simplifying the entire growth cycle. The H380 advances spectrum-specific light to the next level with the ability to switch between two proprietary spectrums. Just as plants have different nutrient requirements at different stages, they also develop unique light requirements. During the vegetative stage, the Extreme Purple spectrum ensures plants flourish with thick, lush growth. The Extreme Magenta spectrum targets the bloom stage, driving plants to increase quality and quantity of yield. 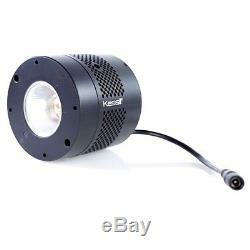 The full spectrum light is further enhanced with the addition of UV chips. Accompanying the spectral advances are brilliant new innovations in optical design. The cutting edge reflector maximizes penetration of the light beam through the canopy, and a special high-quality lens ensures minimal light loss. Two spectrums: Extreme Purple for grow, Extreme Magenta for bloom. Simple to use, no assembly required. Promotes strong, lush plant growth during vegetative phase. Increases quantity and quality of yield during flowering phase. Superior color mixing for even growth. Power Supply: 100-240V AC (Input), 19V DC, 4.74A (Output). Dimensions: 3.6in x 4in / 4.5in x 4in (Length x Diameter). 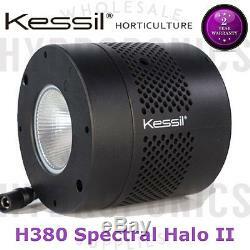 The item "Kessil H380 Spectral Halo II LED Grow Light Tune-able Spectrum Grow / Bloom" is in sale since Tuesday, January 10, 2017. This item is in the category "Home & Garden\Yard, Garden & Outdoor Living\Gardening Supplies\Hydroponics & Seed Starting\Grow Light Kits". The seller is "wholesalehydroponicssupplies" and is located in Phoenix, Arizona.